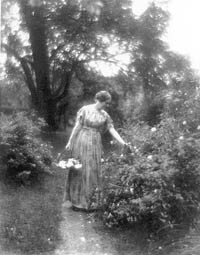 Lizette Woodworth Reese, 1856 – 1935, was an American poet. She taught school for 45 years, 21 of them at the Western High School in Baltimore. Her poetry, remarkable for its intensity and concision, has been compared to that of Emily Dickinson. She is probably best remembered for the sonnet “Years”. Her volumes of poetry include A Branch of May (1887), A Handful of Lavender (1891), A Quiet Road (1896), Spicewood (1920), and Selected Poems (1926). Do you have any comments, criticism, paraphrasis or analysis of this poem that you feel would assist other visitors in understanding the meaning or the theme of this poem by Lizette Woodworth Reese better? If accepted, your analysis will be added to this page of American Poems. Together we can build a wealth of information, but it will take some discipline and determination.